Every maker has a story. 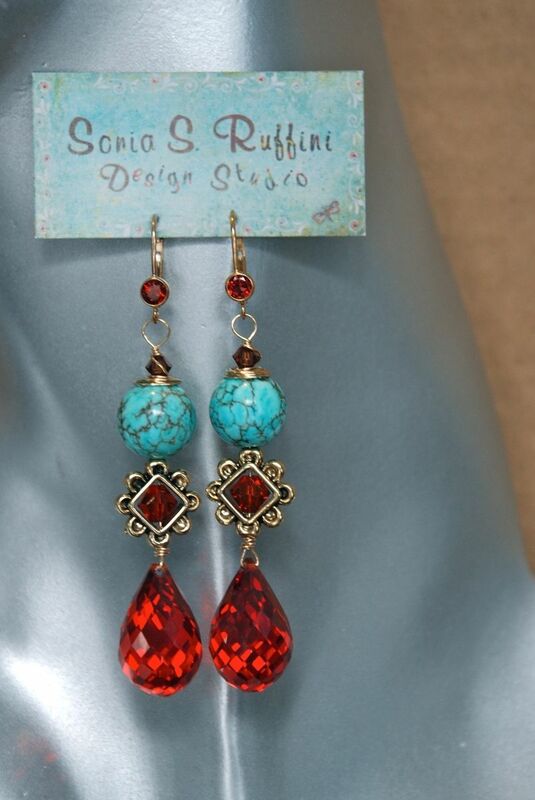 Be a part of Sonia S Ruffini Design Studio, LLC's story by placing an order, leaving a review, and seeing your review appear here. This is a very rich blue 12mm round howlite turquoise bead. 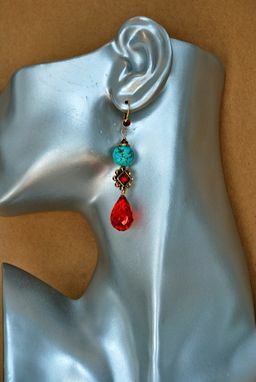 There is a small deep amber 4mm Swarovski Crystal wire-wrapped onto a french ear wire with a round 4mm natural garnet. A very large 20X13mm multi-faceted cubic zirconia dangles below in a deep rich orange-brown color. 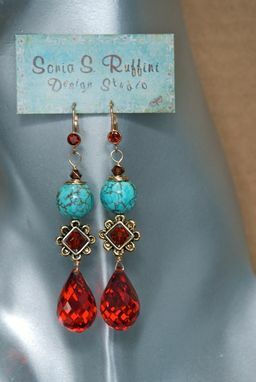 The middle bezel is antique brass and has a 6mm Swarovski Crystal bicone in a deep amber color. These earring are heavy so make sure your piercing can handle the weight.